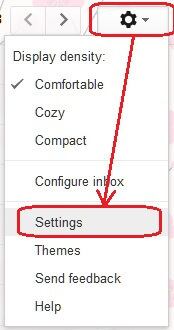 Step 2) Click on the gear icon in the upper-right and then click on 'Settings'. 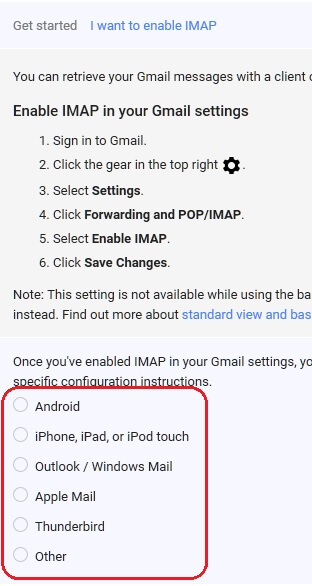 Step 3) Click on 'Forwarding and POP/IMAP' near the top of the screen. In the 'POP Download' section, click on 'Configuration instructions'. 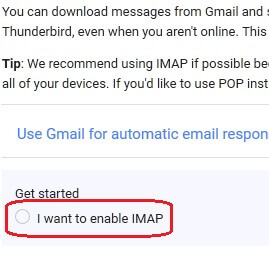 Step 5) Click on 'I want to enable IMAP'. Note: IMAP is generally already enabled for users. Step 6) Choose the device in the list you would like setup instructions for. 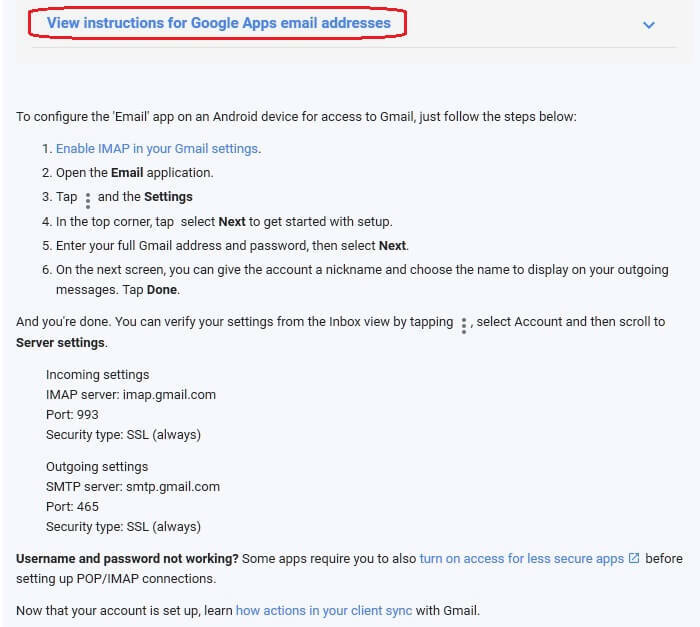 Step 7) Click on 'View instructions for Google Apps email addresses' and follow the instructions. Note: Image below is for Android devices and may vary based on the device you chose in the previous step.